Who doesn't love free makeovers & some discounts? Yes, you heard me right! Read more to find out the fun beauty activity happening in K-Town. 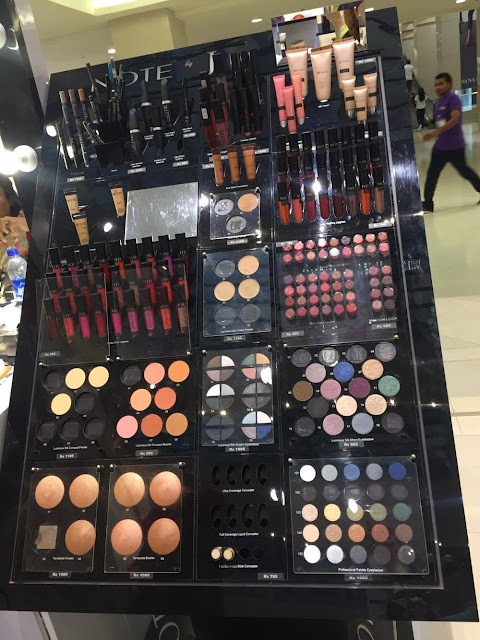 JDot Makeup & Fragrances is having fun-filled "beauty movement" at Karachi's favorite malls. The activity is held to introduce their new silk cream range in their makeup line, which is Note by JDot. The activity includes free makeovers, first hand experience with the new range & the makeup, to find the perfect match for your skin type and best of all, 15% off on the entire range. I love the part of 'FREE' makeovers, because it's not just about getting makeup done, but in that process, you get to know what will suit your skin, what looks good on and how you can use that particular product. Free makeover is more like learning about the product too. It helps in selecting the product you need. JDot Beauty Activity kick started yesterday, 13th October 2017 at Dolmen Mall, Clifton, Karachi - where K-Town beauty enthusiasts/bloggers, including myself, was invited to check the makeup range & fragrances as well as I got the chance to play with the makeup more which I cannot on a normal day a Kiosk. The activity at Dolmen Mall, Clifton is for three days, which means it ends tomorrow 15th October. Next in line are Dolmen Mall, Tariq Road and Lucky One Mall. Date for Dolmen Mall, Tariq Road is 18th - 22nd October. Makeup Artist in me got the chance to use those products & do a makeover on the fellow beauty blogger, Bakhtawer aka GB! I enjoyed using the eye shadows, more than with the brush, I enjoyed the blending with my fingers which I normally do. Some were a little more powdery, but some were BOMB.com! 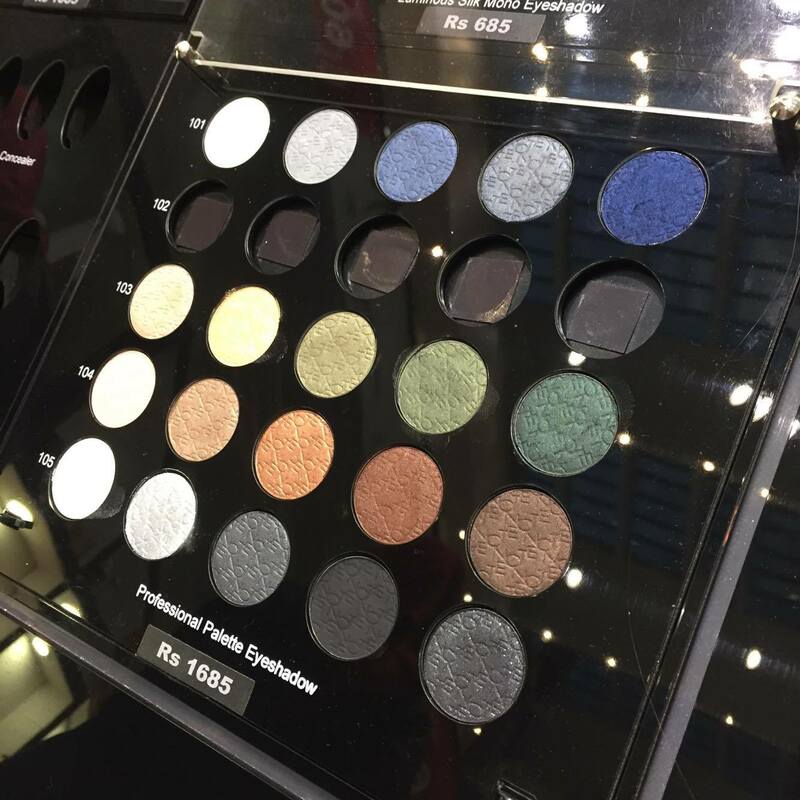 I fell in love the with a matte brown shadow, which was extremely pigmented. 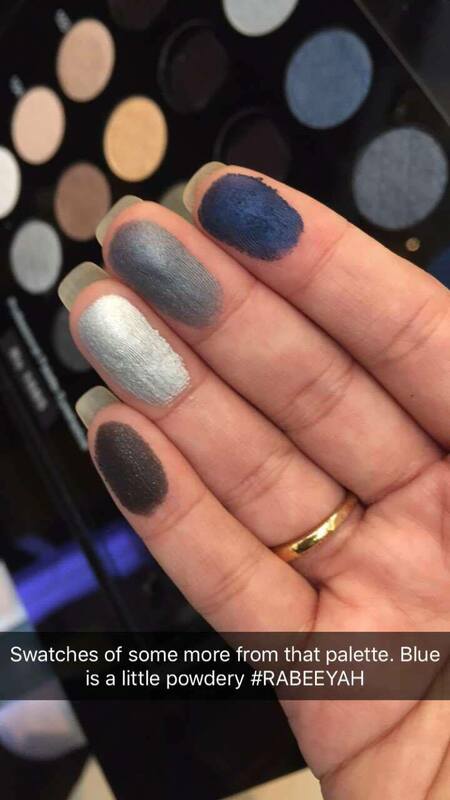 Not everyone can do good matte shadow, but Note by J. has some good. Attaching some pictures of the eyeshadows that I swatched. Other than eye shadows, I loved Note Matte Moist Lip Creams. The formula is what I loved the most. It is velvety in texture, application is smooth, feels like a balm on the lips/moisturising, doesn't dry matte, light weight and stay put. I had food and it didn't disappear or bleed. Prices are pretty affordable too, but you shouldn't miss 15% off that is going on. Other than the makeup line, I love J. Fragrances as well. My new favorite has to be 'Treasure' after 502 (reviewed here). I love scents that are fresh yet warm. What about you? Let me know your favorite J. perfumes. 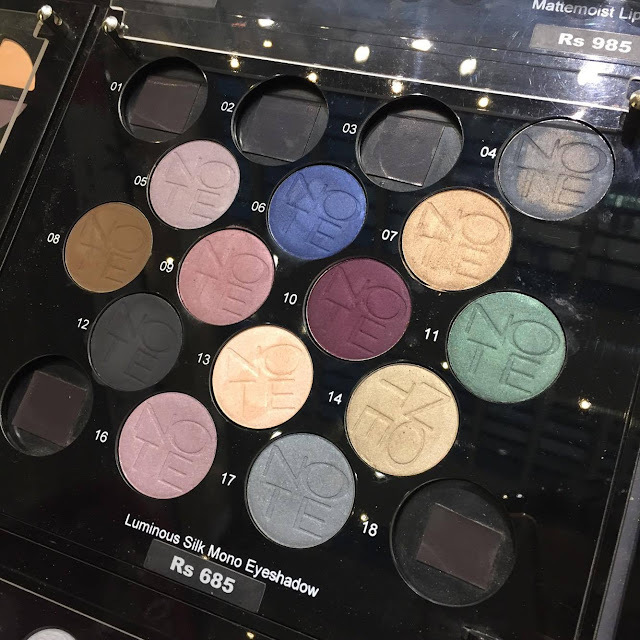 Also, what's your favorite product from the Note makeup line? I like the J Dot fragrances most.